I Hope The IPCC Is Correct About Warming Because Cooling Is a Bigger Problem | Watts Up With That? “I’ve been rich, and I’ve been poor. Believe me, rich is better. I think the Intergovernmental Panel on Climate Change (IPCC) claim that human CO2 is causing warming is wrong. They created the result they wanted, which wasn’t designed to deal with warming but to stop economic development and reduce the population. They selected the data and mechanisms necessary to prove their hypothesis and manipulated the data where necessary, including rewriting climate history. The wider evidence, which is only examined when you move outside their limited definition of climate change, is that the world is cooling. The major rewrite of history involved elimination of the Medieval Warm Period (MWP). 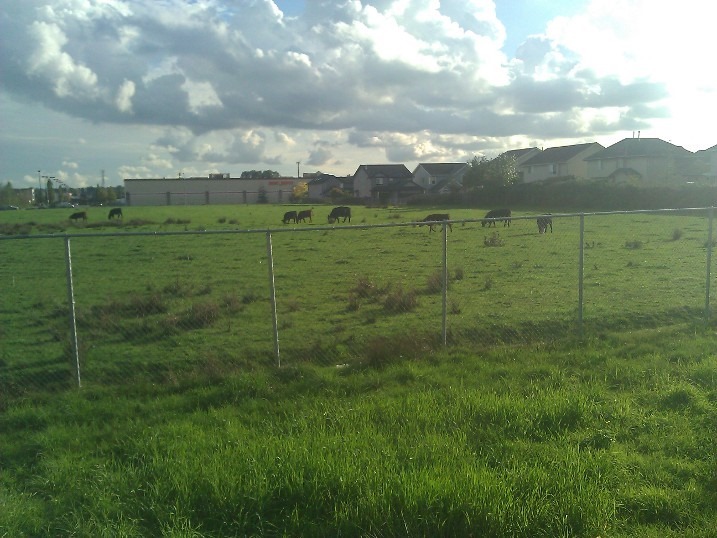 One of the Climatic Research Unit (CRU) gang told David Deming in an email that it was necessary to get rid of the MWP. The reason, although not expressed in the email, was because they were telling people that the latter part of the 20th century was the warmest ever. It wasn’t by any measure, from the warm of the MWP to the prolonged warmer period of the Holocene Optimum. The MWP was the most immediate threat to their narrative because it was within a time period people could grasp. They could relate to the idea that Vikings sailed in Arctic waters that are permanent pack-ice today. There was also the graph (Figure 7c) in the first IPCC Report in 1990 that contradicted their claim – it had to go. A measure of the threat they saw is reflected in the viciousness of the attack on the historical evidence of the existence of the MWP produced in 2003 by Soon and Baliunas in “Proxy climatic and environmental changes of the past 1,000 years.” A couple of examples illustrate the existence of the MWP but also the benefits of a warmer world. During the reign of David I (1124 – 1153) many Normans came to live in Scotland. Dioceses were organised for bishops and new monasteries were founded. Government was reformed. Moreover, in the 12th century many towns or burghs were founded in Scotland and trade flourished. David I was the first Scottish king to found mints and issue his own coins. The main reason for the growth was increased food production due to warmer weather. Warmer conditions began in the 10th century and began to cool by the 13th century. The impact of the cooling on limits to agriculture indicate what was lost. Martin Parry, who later became a central figure in the IPCC, studied the impact of cooling on different agricultural regions when that was the concern in the1970s. 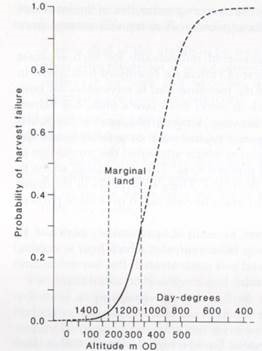 Figure 1 shows the probability of harvest failure in southeast Scotland (Parry 1976). Vertical change in the limits to agriculture seems small, but the horizontal gradient means large areas are lost as illustrated in Figure 2. 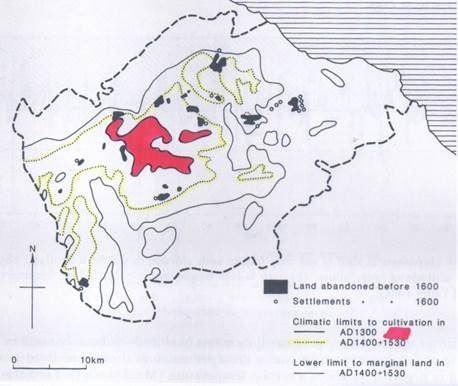 Figure 2 shows the extent of the land cultivated before 1300 AD and the amount lost at the onset of the Little Ice Age (LIA). An important point to remember is that Polar Bears, the animal Al Gore and his alarmist gang chose as the canary in the Arctic, survived the entire MWP. The IPCC set out to prove human CO2 was causing global warming. They achieved this by manipulation and deception, but it meant nothing if they didn’t also ‘prove’ that warming is a potential disaster. The IPCC structure involved four stages. Working Group (WG) I, II, III and the Summary for Policymakers (SPM) were all carefully designed to blend predetermined science with the threat it posed to the planet and humanity. The IPCC also guaranteed the prediction of increasing CO2 and its negative impact using economic models deliberately constructed for a predetermined outcome, just like the climate models. Castles and Henderson critiqued the first economic model. About two years ago Ian Castles became interested in the statistical techniques which had been used to predict the course of CO2 emissions for the next century and he was later joined by David Henderson who was curious to find out why the IPCC’s procedures had imparted an upward bias to the projections of output and emissions of developing countries. These two economists have shown that the calculations carried out by the IPCC concerning per capita income, economic growth, and greenhouse gas emissions in different regions are fundamentally flawed, and substantially overstate the likely growth in developing countries. The results are therefore unsuitable as a starting point for the next IPCC assessment report, which is due to be published in 2007. Unfortunately, this is precisely how the IPCC now intends to use its emissions projections. These RCP’s are used by policymakers to decide what actions are required to sustain a safe climate for our own and future generations. The information they are using, presented by the IPCC, is nothing more than science fiction. The IPCC determined to prove that human CO2 from industrial activity caused disastrous global warming for a controlling political agenda. To do that they convinced the world that warming promised nothing but catastrophe. The historical evidence shows exactly the opposite is the case; a warmer world offers many more benefits to more flora and fauna than a cold one. It is certainly more beneficial to the human condition. Evidence of the IPCC’s distorted thinking is in the claim that more people would die with a warmer world. The evidence shows that cold kills more people every year than heat. 40 years ago, in his 1976 book The Cooling, Lowell Ponte enunciated the threat of cooling in a similar way to the current threat of warming. The dramatic importance of climate changes to the worlds future has been dangerously underestimated by many, often because we have been lulled by modern technology into thinking we have conquered nature. But this well-written book points out in clear language that the climatic threat could be as awesome as any we might face, and that massive world-wide actions to hedge against that threat deserve immediate consideration. At a minimum, public awareness of the possibilities must commence, and Lowell Ponte’s provocative work is a good place to start. This is the same Schneider quoted in Discovery magazine in 1989 as follows. On the one hand we are ethically bound to the scientific method, in effect promising to tell the truth, the whole truth, and nothing but, which means that we must include all the doubts, caveats, ifs and buts. On the other hand, we are not just scientists, but human beings as well. And like most people, we’d like to see the world a better place, which in this context translates into our working to reduce the risk of potentially disastrous climate change. To do that we have to get some broad-based support, to capture the publics imagination. That, of course, entails getting loads of media coverage. So we have to offer up scary scenarios, make simplified, dramatic statements, and make little mention of any doubts we might have. This double ethical bind which we frequently find ourselves in cannot be solved by any formula. Each of us has to decide what the right balance is between being effective and being honest. I hope that means being both. The trouble is, it isn’t science without ‘no’ people. March 19, 2016 in Climate News. The more I know of cold, the better I like warm. Precisely why i moved from Washington, DC to southern Arizona. Well, that and all the dipshits in DC. That’s just funny! I laugh, Out loud! …anyone who doesn’t think so should try a cold shower as opposed to a warm one. Might help them come to their senses. Why wait ’til October? Jumping in just about any Canadian Lake in full Summer is “bracing” enough. You can’t beat a cold shower in the hot season in Thailand. Jimmy I live in Arizona, my cold water in the summer is in the +100 F so a cold shower is out of the question, is Thailand any different? Evan, the problem is you can’t say “the warming”, because it hasn’t warmed everywhere, and not uniformly. It’s difficult to understand this claim. The increase in atmospheric CO2, and the increase in dissolved CO2 in the oceans are because of the combustion of fossil fuels. Without that there would be no increase. With it the increase is more than explained. Well, CO2 is a greenhouse gas. And increasing the concentration of greenhouse gasses increases the greenhouse effect. That increases temperature, because that’s what the greenhouse effect does. Not in terms of the effect on biodiversity. Anything that has been a species for a hundred thousand years or more, such as your good self has certainly survived colder temperatures. There is no only things that have been species for about 5 million years, which is probably nothing, have survived warmer temperatures. Seth, you want it both ways, which is not allowed, so you must choose. Since warm water can hold LESS dissolved CO2 than cool water, if burning fossil fuels has increased the temperature of the oceans, which is a requirement for global warming to be true, then there must now be LESS CO2 in the oceans than previously. Got it? – 95% of CO2 in the atmosphere is natural in origin. That is the main driver, not people. – Even if CO2 did increase the temperature at the bottom of the atmosphere, it simply causes the warmer air to rise, where any extra heat is blown to the poles. The poles really do need the extra warmth. Ever tried to grow grapes there? – Every occupied part of the Earth changes temperature about 25 degrees centigrade every day. How can you say that an increase of 0.1 of a degree is harmful. Even if you believe the stupid claims that the Earth will go up as much as 2 degrees (none of the claims to date have actually happened), that is a small part of the daily change. Most telling is the dedication with which the warmists have tried to erase any inconvenient truths, such as the Medieval, Roman and Minoan Warm Periods. It is essentially impossible to call this anything but scientific raud. Ray B. Please check before posting. There are two effects. The effect of increased temperature reduces solubility. The effect of higher concentration of CO2 inreases the amount of dissolved CO2 according to Henry’s law. The temperature effect is tiny compared to the Henry’s law effect. More CO2 in the atmosphere means more CO2 in the oceans. Got it? so seth if your third point is true we have to believe the dinosaurs thrived during the “snowball earth” episode? iw warmer would mean less biodiversity, then why is the biggest biodiversity found in the rainforests at the equator? to have a decrease in biodiversity, you need a decrease of clouds and moisture as drinkeable water is the main driver for biodiversity. Temperature is also a driver, but life (and even our civilization always thrived during the optima and crashed down during the minima. oh yes the emian interglacial which would have seen an ice free arctic did not eradicate the polar bears as they are still there. Why do these facts contradict on all levels your third claim? what i see is that earth’s nature is more adaptable to climate’s ever changing course then we as a so called “highly evolved civilization” can adapt to it, hence we try to mirror our own shortcomings on what surrounds us. With sun winding down some cooling is nearly certain. Despite all these spikes in NOAA’s data the CET has been on downhill slide for about a decade, while the Grand Warm up lasted barely a decade. From historic perspective things do not look brilliant, in another decade or so we here in the N. West Europe may revisit the early 1900s temperature. As it can be seen I’m not entirely convinced about either past or recent data adjustments. Adjustments are necessary. Sad but true. And not all are made that are needed to be made, for that matter. I can think of two in particular. Oceanic cycles that couple with the troposphere for heat transfer are the reason you have the ? Marks. And those those cycles are not periodic (quasi-periodic) enough in extent for reliable prediction. The one thing we can take to the bank is reversion to mean. This year ( 2016) and last year were above normal due to ENSO heat release. 2017-2018 with a La Nina in a near minima Solar cycle won’t be so kind to mankind. Reversion to mean. Yes, I would agree, only question is if that mean is, the simple arithmetic one, or perhaps one centered on the last 350 years’ upward trend. I hope is the ‘uptrend mean’ since next few decades may not be too bad. So what we can expect in the next 100 years ? that assumes climate has a mean. however climate is a fractal without a mean. rather it has bounds globally of approximately 11C and 22C, where it spends most of its time, with brief excursions away from the bounds. at 15C we are in one of those brief excursions. it is the belief that climate has a mean that leads to the assumption that climate is changing. however, without a mean to revert to, change becomes the normal state for climate. an arithmetic mean can of course be calculated for climate, so long as you bound the time period. when you compare this mean with another time period, you will find that it has changed. unlike a coin toss or toss of the dice, where the mean and deviation remain constant, in a fractal the mean and deviation are non-constant. the odds of a warm period versus a cold period are always changing, as is the size of the warm versus cold period. I am a bit skeptic about the ‘fractal business’, at least on the scale we have some instrumental data however uncertain they might be. Once you start thinking about natural selection, you come up with interesting and (in hindsight, really quite obvious) conclusions. For example, why humans tend to favour certain body types when choosing their mates. DNA analysis has demonstrated the strong probability that the human population dropped to a few thousand during the last glacial period. Obviously, rapid cooling of the climate placed a huge environmental stress on people, as on many other species. During such high-stress periods, natural selection is accelerated because the survival rate is so low that only those individuals who have mutated enough to develop an “edge” get to survive long enough to pass on their DNA to the next generation. In the case of ice-age humans, the “edge” was having sufficient intelligence to begin to manipulate their physical environment to survive the cold. Being able to use fire obviously was a big one, and that allowed a much wider use of caves for shelter because it gave light as well as heat. Then being smart enough to use the skins of animals as clothing. Also, the ability to devise and use weapons to kill large animals for food and fur would be a big one too – other species like wolves hunt in groups, but they have teeth and claws that were refined by evolution for killing – humans had to invent weapons for that purpose. Living in caves probably led to larger social groupings and that may have led to the development of language – certainly the need to organize and coordinate large groups would have promoted the use of language. You can go on and on with this kind of thought experiment – it gets addictive if you do it long enough – and it all comes down to this: we are humans because we survived the big freeze by evolving to be intelligent. So cold has had its benefits because it made us smart (unless you think, like the Club of Rome, that humans are a problem for the earth). Do we want to repeat the experiment next time? There’s little or no doubt that there will be a next glacial period. And it will pose massive problems for a multi-billion human population when the amount of land available to grow food shrinks to a fraction of what we have now. Perhaps our descendants will be clever enough to develop ways to live in a cold global climate, but if all we do is worry about global warming, we won’t be ready for it. I have no doubt we will turn on each other in a heart beat, no matter what political or environmental leanings one has. Basic survival instincts will kick in. It didn’t take but a couple of weeks at Parris Island (MCRD) back in the early ’60s to show how thin the veneer of civilization is on the human. Place him/her in a survival situation, or, in some cases just threaten their access to food, clothing, shelter or assumed breeding rights and you quickly learn not to be surprised by any action they may take. I had this happen last week once as well. I thought it was just my own clumsy mouseclicking but lately people here have been mentioning the same thing. A ‘black hole event horizon’ has appeared in the WordPress constellation, it may explain the sudden non-appearing of comments. In my case happened 2-3 times in the last few days. I’ve had that happen in the past but it usually turns up after a short interval. I’ve learned to wait so as not to double-post. Not sure what a good waiting period is though. I had one too. Nothing triggering at all. It was a bit of a technical comment on measuring CO2 equilibration between the atmosphere and the oceans. Too bad because it took a fair amount of effort. Well I am not going to re-type all of the lost comment, but I would like to say that Dr. Ball is one of the main reasons I started reading this blog and he remains my favorite writer here. And this essay was powerful and spot on. ctrl c – ctrl v to a document before hitting post. It saves the typing part anyway. Would it not help if there were, somewhere on this site, a list of ‘naughty’ words – or words to avoid using? Writing about such a powerful and emotive subject as ‘climate change’ along with all the people who write about it is bound to cause the use of some inflammatory language from time to time. Many people have said it. Who said it first? Apparently not Mae West, nor Sofie Tucker. Apparently FIRST documented by Beatrice Kaufman in 1937. In 1937, a newspaper columnist portrayed the wife of playwright George S. Kaufman urging a theatrical figure to accept one of many movie opportunities he was being offered. “Dpn’t overlook the money part of it,” Bea Kaufman reportedly said. “I’ve been poor an I’ve been rich. Rich is better!” Sometimes misattributed to Mae West, Bessie Smith, Billie Holiday, Joey Adams, Joe Louis (Comedian Joe E. Lewis, not the boxer Joe Louis?—ed. ), Frank Sinatra, Irving Wallace, John Connally, or Pearl Bailey, this thought is most often credited to singer Sophie Tucker. Nonetheless, there is no reliable record of her ever having said it. A retired editor named Henry McNulty once scoured his newspaper’s coverage of the hometown celebrity from the beginning of her career in 1922 until she died in 1966. He found no reference to this comment. Nor could McNulty find it in obituaries about Tucker written elsewhere, or in her autobiography. Some think the thought originated with comedian Joe E. Lewis, or comedienne Fanny Brice. Since Tucker and Lewis sometimes performed together, they had many an opportunity to borrow each other’s material. Tucker and Brice were contemporaries and friends. Most likely this was a show business commonplace free for the taking. Verdict: An old entertainer’s saw. I’ve been lower middle class, and I’ve been poor. Believe me, lower middle class is better. It has been temperate and it has been cold. It is better that it is temperate. I’ve been rich and unhappy, I’ve been poor and unhappy…..rich is better. That last bit a low growl. Another great essay from Dr Ball! Oh c’mon, mate. Science is HARD. In 2003, Russian scientists Klyashtorin and Lyubushin analysed the global surface thermometer temperature record from 1860 to 2000, and identified a recurring 60-year cycle. This probably relates to the Pacific decadal oscillation, which can be caricatured as a large scale El Nino/La Nina climatic oscillation. The late 20th century warming represents the most recent warm half-cycle of the PDO, and it projects forwards as cooling of one-tenth of a degree or more to 2030. Thus, using several fundamentally different mathematical techniques and many different data sets, seven scientists all forecast that climatic cooling will occur during the first decades of the 21st century. Temperature records confirm that cooling is under way, the length and intensity of which remains unknown. . . .
Three possible projections are shown: (1) moderate cooling (similar to the 1945-1977 cooling); (2) deeper cooling (similar to the 1880-1915 cooling); or (3) severe cooling (similar to the 1790-1830 cooling) during the Dalton Solar Minimum. A fourth possibility, very severe cooling similar to the Maunder Minimum, is also possible, but less likely. 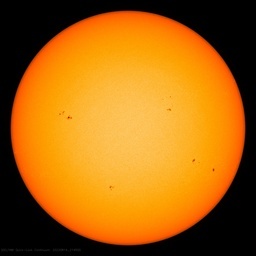 Time will tell which of these will be the case, but at the moment, the sun is behaving very similar to the Dalton Solar Minimum (Archibald, 2010), which was a very cold time. This is based on the similarity of sunspot cycle 23 to cycle 4 (which immediately preceded the Dalton Minimum). Easterbrook, D.J., 2011, Geologic evidence of recurring climate cycles and their implications for the cause of global climate changes: The Past is the Key to the Future: in Evidence-Based Climate Science, Elsevier Inc., p.3-51. Those warming of catastrophic anthroprogenic warming bear the burden of proof to show high statistical likelihood of their predictions over the null hypothesis of such natural global temperature warming AND cooling. To date they have not done so. Thus climate warming advocates must reach the standard of 100-200:1 to justify a “highly significant finding” on which to make trillion dollar public policy decisions. You have to consider both the direction AND the rate of change. Global proxies suggest that the earth was cooling slightly (0.01 degrees C/century) over the past 7,000 years. That all changed around 1900 and since then the temperature has been increasing at about 1 degree C/century. A slight cooling of a hundredth of a degree per century poses much less of a threat over the next few centuries than an increase of 1 or more degree per century. That is why the Pentagon has identified global warming as a principal driver of political instability and conflict over the next century. Wait. What happened to latter part of the Holocene Climate Optimum in your 7000-year cooling? the Minoan Warm Period? The Roman Warm Period? The Medieval Warm Period? Are you saying those periods- each one of them warmer than we are now- were actually ‘cooling’? Luke, hate to tell you this. Marcott committed academic misconduct in that paper 1. His own SI says the has no temporal resolution below ~150 years (actual resolution is about 300). The blade is invalid. He admitted this statistical ‘probably not robust’ in correspondence with McIntyre. He created it via core top redating (the misconduct), then relying on statistical drop out. Essay A High Stick Foul in ebook Blowing Smoke exposes this explicit scientific misconduct in detail. Provable by comparing his thesis (part 3 is the basis for the Science paper) to Science and its SI. Also guest posted at Judith Currys early in 2014. McIntyre did a more detailed analysis just of the alkenone proxy subset and showed the same thing that I found in all 72. Your graph is junk. And your demand for peer rebuttal shows how little you know about the rigged publishing system and Pal review exposed by Climategate. McNutt, dedicated warmunist chief Science editor at the time, had the incontrovertible evidence based on comparing Marcotts thesis to his paper. Her assistant acknowledged receipt of that information from me in the form of the essay with its footnotes. Did nothing. Go read my forensic analysis. It might open your mind a bit. Luke~ what exactly Does grasping at straws feel like? I suspect you have a good clue. Luke, how many times do you have to be told that the Marcott Hokey Schtick graph you are obsessed with has been debunked times without number and even disowned by Marcott himself? Why do you insist on repeatedly insulting the intelligence and knowledge of the posters on this blog by repeatedly posting it even though it is known to be fraudulent? Have you considered seeking medical assistance for obsessive compulsive behaviour disorder? Luke gets a thrill every time he looks at Marcott’s bogus chart. Even though it’s a complete fabrication with no connection to reality, it feeds his confirmation bias. If you are going to use the excuse that climate scientists around the world are engaged in a vast conspiracy then, you’re right, we can’t have a rational discussion about the evidence for AGW. How many times do I (and others) have to tell you that AGW exists? Now what’s the excuse for your climate alarmism? Again Luke shows Marcott, which has very poor temporal resolution. It wouldn’t even show the last 150 years of temperature. That’s just plain dishonest. Vast conspiracy? Like 97% of scientists? . . Think people, please; There are numerous known conspiratorial groups far larger than would be required to pull off this (I am quite certain) climate con job. Drug trafficking for instance, a whole lot of people “conspire” every freaking day to supply illegal drugs around the world, don’t they? And human trafficking? Illegal arms sales? These “conspiracies” require far more participants than would be required to pull off a “consensus” among “climate scientists” charade like we (I am certain) have seen watching. The Haseler gap: imminent global plummeting temperatures (in next ~2000 years). I hope many people click on that link and read that essay. It is darn good. i can only second this: interesting piece and track! and good open minded piece of writing. \Luke, google the Younger Dryas if you want to see how fast cold can come. … and heat as well as the rebound from the younger dryas does throw the IPCC’s claims of “unprecedented CO2 driven warming” straight into the deepest b***s**t trash bin…. 1 C degree per century. Well not in the Central England Temp Gauges over 350 years it is 0.26 C degree per century. The prediction of political instability and conflict due to this rate of temp change is just hogwash. Temperatures from one location do not refute the trends in global temperatures. As for you second claim. Here is the url for the full article. If you contest their conclusions, please provide a peer-reviewed publication supporting your assertions. Most of people commenting here, have on many occasions heard the views and opinions and read many references of kind you putting forward, and rejected them over and over again as the unsound ‘science’. Wish you good luck, but you might be wasting your time, unless of course you seriously consider what is discussed here and become an AGW sceptic rather than a AGW missionary. Anyone who knows any history knows that the “hockey stick” is/ was false. Just ignore all the historical records? When Luke says the Syrian conflict was caused by AGW I checked out, climate scientists on the alarmist side have disowned that nonsense as it is too much of a hit on their credibility, which says something. How desperate do you have to be to drag out nonsense from politicians. Humans caused the Syrian conflict, not with CO2 though, but by secretly arming scumbags since 2010, funnily enough, the governments most lying about CAGW, France UK and US. Luke, luke, luke. The pentagon, like all government bureaucracies are merely pushing their own agenda. They use the climate bogeyman to bootstrap their own importance. There are plenty of other issues they could use to “bootstrap their own importance”. It just so happens that the data support their assertion. Luke, you come here time and again to deliver your message – same graphs, same words – You do respond to others, yet you never look into anything that does not support the catastrophe meme. It makes me suspect you are here merely to post your message – not communicate with others, not to debate nor to learn. You are not interested in an exchange of ideas. So, I conclude from that, you must be here to refute the findings of honest investigation, nothing more. Meh, the Commander in Chief is deluded, they have to follow orders. We’ll see how they act with a new C-i-C.
Heh, Marcott deluded the President, why not little ‘ol Luke? What Luke is doing in words is an extension of Mann’s (et. al) Hockey Stick graphic reasoning. He is taking a long-term highly smoothed almost linear trend — “Global proxies suggest that the earth was cooling slightly (0.01 degrees C/century) over the past 7,000 years” — and splicing on the end a relatively short-term temperature trend — “all changed around 1900 and since then the temperature has been increasing at about 1 degree C/century”. I’m assuming it’s a tactic, I’m giving Luke the benefit of the doubt. The Marcott graph was created via clearcut academic misconduct. It should have been withdrawn. See my reply to Luke upthread which gives two separate ways to reference the relevant forensic materials. Luke, Marcott is hiding past excursions in temperature like we’ve seen recently. The argument is over causes for these excursions, which were clearly natural before recently. Attribution for change is not easy, and frankly, no one knows what is natural and what is anthropogenic. So believe those who argue that they do at your own peril. Don’t take this to your tutors or they’ll expel you. What sort of tactic is it to mislabel a graph “Before Present 2000 AD” when Richard Alley’s GISP2 data only went to 1855? Where is the last 160 years? What sort of a tactic is it to compare proxy temperature history in at the top of Greenland to 73 other proxy temperature datasets worldwide? What is the average annual temperature at the top of Greenland in the last few years? And what threat is 1 or more degree per century? It would absolutely be beneficial. Nope. It’s because the Commander in Chief told them to say it. The Pentagon kills people and breaks things. They have no authority on instability and conflict. Luke, timescales must be considered. And you are suggesting we should be prepared for climate change which is why the head of CSIRO has changed the direction of the organisation, regardless of the anthropogenic CO2 influence, to finding the best ways to manage a changing climate. I am in the camp that says forcing economic collapse on us is not the best way to do this. You have just explained the great political instability of the old “banana republics” of South and Central America. IT WAS ALL THAT EXTRA HEAT! Certainly the current problems in Venezuela and Brazil etc are perfect examples — a few extra degrees of heat compared to the north equals political instability, poverty and those wanting air conditioning are lead into corruption. There is no hope for hot house countries! YOUR A GENIUS LUKE!! I believe the tables of top humor are tilting in your direction, Eugene. I wish I had known that before going to Ecuador last year. Appeared to me to be a fairly happy and progressive place. I guess I should have warmed them of their impending doom. Can you believe people hang out in the sun at the equator? Don’t they know it’s dangerously hot? Nonsense! The Pentagon was directed by the Administration (which is sold on the warming nonsense) to make that statement. There is ZERO evidence to support the hypothesis that warming is a principle driver of political instability. On the contrary, cooling has historically been shown to drive political instability due to the economic disruption caused by crop failures, etc. Agreed warm is better than cold The only desert on the Equator is on the East side of Africa where the prevailing winds prevent rainfall. Try farming in Antarctica. The unfortunate thing is that it will take a cold winter over Western Europe to cause power cuts and the probable resultant civil disorder to change public opinion. An anticyclone for two weeks witht the solar farms covered in snow, the wind turbines not turning and no power coming across the interconnecters as Holland and France are unlikely to sacrifice their own citizens to supply the UK is a likely scenario in the next 2-3 years. I drive around the SW of Engalnd and despair at the number of solar farms being built on good agricultral land. What is the decommissioning cost of a solar farm with its metal posts, cabling and disposal of the solar panels?. I would like to be enlightened. On an island of coal and iron surrounded by silver seas once plentiful with fish it has taken some ability to diminish our capacity to survive. Too many Arts graduates in government and not enough engineers/scientists. Being an engineer, I have 2 diesel gensets ( large & small) & 1,500 liters of fuel + inverter & big battery bank. We can be off grid ~ 50 days & also keep 4 weeks of food, no probs. Pity the poor sods that can’t prep. London, thanks for the comment. The lack of scientists and engineers does seem to be major part of the problem. London247, if you are young and inventive I think there is a fortune to be made in reclaiming the rare earth elements and metals from the decommissioning of large scale solar and wind, as their true practicality and environmental impacts become apparent. Anyone who can turn these future disposal problems into sellable cullet (cheaply) will win big. A good diesel dozer can “decommission” that solar farm quickly and cheaply. It is interesting how much the CAGW industry feeds the, ‘If I were king of the world” fantasizing. I was smiling at the attack in the UK on the ‘qualifications’ of people pointing out what a load of silly alarmism the AGW business entails, which is basically an appeal to authority and the Kingdom of Names (and Letters). Then the ‘authority’ upheld so proudly in another article was….Naomi Klein, she the bearer of so many Letters and Names! “Activist” was one of them. What are the qualifications of an “activist”? Self-appointed moral standing is one, with a pretty confident idea that others are morally lesser in stature so deserving of the herder’s whim. How can anyone sustain so much confidence in AGW in the face of so many contradicting facts? Like the armless knight in Monty Python’s Holy Grail saga, the warmists will be claiming, “It is all caused by AG CO2!” as everything freezes right down to the bottom of Lake Ontario. Human science has enough tools to survive another ice age, but it hopefully will not come to that for a few more thousand years. We have the skills and tools at hand to create a global civilisation of great kindness, justice and wealth. There is no requirement to scare people into beneficial behaviour. Our biggest problems are ignorance and inequality. The biggest threats are nuclear weapons and the veto at the UN. The latter prevents resolution of serious problems, promoting resort to the former. Plus a lot of people still think a major war is winnable. True, but not for 7.3 billion people, 5 billion of which live in the developing world outside China. Not enough arable land with long enough growing seasons (degree days) as Dr. Ball’s guest post points out for Scotland and just the LIA. Greenhouses don’t work for the five major calory staples (wheat, rice, corn, soy, potatoes) on the requisite scale. Even ignoring cost. It’s easier to scare them into line. Just look. It’s a tough gig when mere education undermines one’s entire plan. Scaring requires that people fear something, like roasting in a living hell instead of being tortured in an eternal one. People lose their fears of everything, even death. CAGW alarmism relies on the ignorance of the listener. An educated listener will soon stop listening because they know better. Then the nonsense will fade away with a whimper, still clutching the cash. Bill and Naomi, nothing more than rent-a-mob organizers! For any and all Canucks on this site, I call for a complete boycott of the CBC. David Suzuki and then Klein’s ” This changes everything “. Unbelievable lefty, anti-West, anti- fossil fuel propagandists. Suffice to say that this planet is more greatly prone to temperatures below the survival limit of most species than those temps above. It should be obvious to any middle-schooler that the warming planet sustains this “preponderance” of respirating organisms in larger surviving and reproducing quantities spread over more and more of the recovered frigid wastelands. The activity is mostly at the microbial and insect levels, converting CH4 and thawed organic debris into CO2 (et al) and raising the level of atmospheric GHGs in the process. Later the more complex species migrate into the former tundra. Warming enhances CO2 production and cooling retards it. Plain as my big nose. The only way we’ll see lower CO2 is when the transpiring organisms increase in the formerly uninhabitable regions enough to balance the emissions of the faster-lived life forms which precede their presence, or when the temperature of those areas is again no longer high enough to maintain the respiring life forms in sufficient quantity. Whatever typo-adhesive digit disorder Marcus has is contagious. Lol, you has it right the first time. Paleontology shows no upper limit to the benefits to the biome from warming, and always shows the immediate detriment of cooling. A warmer world sustains more total life and more diversity of life. The greening from AnthroCO2 would seem miraculous if it weren’t so predictable, and yet, it does seem miraculous to the billion extra people now being fed by the increased CO2. It’s the coccolithophores, and more! Heh, I once wrote ‘supports more’ instead of ‘sustains more’ in the stenography above and oooh, the trouble I got into. This explains the whole global warming shebang. TCE: It seems to me that the problem won’t exist soon as the ‘developing nations’ will soon be living in the ‘developed nations’. Personally, I love (not) the claims of the warmists that this has been the warmest Spring (evah) because the El Nino was supported by anthropogenic CO2 – yet I have not found anyone of them who can explain the ratios. Or the proof thereof. That a warmer world has been successfully marketed as a catastrophic disaster is testament to the power of propaganda. Makes me wonder what would have transpired if H.G. Wells had stuck to his Martian invasion story. How far might it have gone with a naive public? The name of the entity is “Intergovernmental Panel on Climate Change”. Which sounds to me like gushers of money, if you dare take that first sip. This eco-totalitarian constellation of administrations amount to little less than global government in waiting. Civilized society will stop them. The de facto Pax American, de jure a variable coalition of the functioning democracies was functionally better than any proposed central government can be, and, as before, it will probably be a coalition of the functioning democracies which will hamper and ultimately halt the burgeoning authoritarian transnationalism. Mr. Ball, I am sorry, but as a fellow Canadian, I don’t give a shlt what is causing the temperatures to fluctuate, I WANT GLO.BULL Warming !… I am tired of freezing my balls off every six months ! P.S. Love every post you make ! Get in touch with the WUWT regular Tom in Florida. Wagen, so why do you keep coming back to read more? Thank you for asking! The -in my eyes- faraway from reality interpretations on here of what is actually going on, are quite fascinating. Human information processing is my field of work. I learn a lot. Looking at this corner of the Internet is only a hobby though. Tell us what is actually going on. I’ve been wondering. If you know our minds then tell me why we refuse your indoctrination. 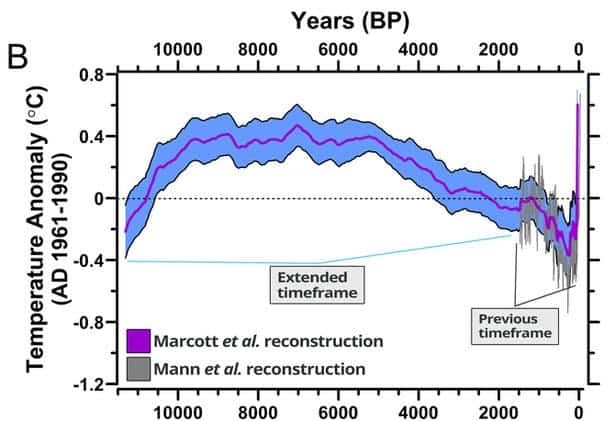 Wagen, you’d better hope that the recovery from the coldest depths of the Holocene was primarily natural, because if man has done the heavy lifting of warming we can’t keep it up much longer. The higher the climate sensitivity to CO2, the colder we would now be without man’s efforts. So take a sensitivity that frightens you, and calculate how cold we would now be without man’s additional CO2. There, that ought to keep you busy, and, if you’re lucky, provide you with a new perspective. What is it that you are trying to tell me? (You didn’t succeed). And we’re at half precession, and at average age for the last few interglacials. And the sun is doing something, probably minor, but new to our perceptions of it. If we are false-footed into mitigating a warming that isn’t happening, instead of adapting to a cooling that is happening, then there will be Hell to pay, and the bill will feature pale and painted horses. Wagen, the argument is over attribution of temperature rise to nature vs to man. Whatever amount, and the figure is greatly in controversy, man has contributed we would now be that much colder without man. You do understand that warmer is a friend to life, and colder is the enemy of same? The alarmists have gotten things quite backwards, but it is not surprising, because the better view is less amenable to dramatic social engineering. It may take a spell of cooling to convince the most intransigent of the alarmists that warming is always a net benefit, cooling immediately a disaster. We’ll survive, whether we understand that sooner or later. You may depend upon that. Mr. Wagen, I believe that if it were not for the Tor network, your traffic would originate from the same IP address as the other sockpuppets who frequent this blog. The fact that you all arrive en masse is a giveaway. Furthermore I suspect that your “hobby” earns you a good wage. Into the valley of Death rode the brigade of Gorebots. The peculiar, may I say pathognomonic, characteristic of so many of these alarmists is the striking combination of arrogance and ignorance. It’s almost as if they come emblazoned with a great green ‘G’ on their foreheads, so labelled they make themselves. You mean impacts such as record and near-record lows in tornadoes and hurricanes over the past 4 years? Even the IPCC’s Extreme Weather report says there is ‘LOW’ confidence that much of anything can be linked to AGW. Record world grain reserves, more people above the poverty line, shocking stuff. Oh for the good old days? Hilarious! 😀 😀 😀 Let’s have more comedians here! Oh look, the village idiot is laughing again. A lot of people suspect Arctic Ice is cyclic, or at the least, variable. The Vikings sailed around Greenland. Today that is not possible because of pack ice. I presume you are aware of the archeological find on the NW shore of Greenland from 4000 BC which included enough DNA to show that the Inuit man living there (now covered in pack ice) was descended from a recent migration from NE Asia, that he was descended from people originating in E China, not Siberia, and also that he had dry ear wax. Where he lived is now uninhabitable because of the pack ice >5m thick. Greenland was much warmer 6000 years ago than it is now. The Arctic may have been ice-free in late summer. Wikipedia, that impeccable information source (until it’s bowdlerised by Connelly et al. ), tells me “… before the Little Ice Age, Norwegian Vikings sailed as far north and west as Ellesmere Island, Skraeling Island and Ruin Island for hunting expeditions and trading with the Inuit and people of the Dorset culture [and Thule] who already inhabited the region …” areas which are under pack ice most of the year. I don’t know what evidence there is for that statement but given the the fact that the Arctic treeline and permafrost boundaries were at higher latitudes during the MWP it’s perfectly reasonable to infer that the seasonal ice pack was also. you are right. That statement can be justifiably lampooned. Hyperbole is always funny no matter who says it or on what topic. Good spot. “In 1949, the Danish archeologist Count Eigil Knuth found a remarkably well-preserved umiak on desert-dry Peary Land at the northern tip of Greenland, less than 500 miles from the North Pole. This umiak was thirty-one feet long, and its driftwood frame was lashed with baleen. It had been built in about a.d. 1440, and in size, design, and workmanship it was nearly identical to umiaks used 400 years later by Greenland’s people …”. Natural History, October 1992. Chris, appears reasonable. We know they farmed land that is now permafrost, or has that history been adjusted as well? So far the CAGW alarmists have not addressed the central theme of the post. Cold is harder on LIFE then warmth. Humm? Looks like the trolls are out in force today. This one acts like a Japanese soldier trapped on a Pacific Island for years who still thinks WWII is on. He certainly has antique armory. You watched Gilligan’s Island after school too? May I suggest that he is a cargo cult island dweller? They set up their pitiful digital simulacra of the great analogue computer that is the Earth’s climate systems, and they expect insight to fly in from over the horizon. Wagen looks a picosecond and predicts the decade. he is a small thinker with a large ego. They only surrendered because of the rising sea levels, lol. Every one of Dr. Tim Ball’s postings is a winner. This is the best summary of the IPCC Boondoggle and Fraud that I have read to date. Global Cooling Is a much Bigger Problem than any small global warming. One should consider that mortality among desert life forms is more often cold related than heat related. survival is difficult when it is cold and dry and all the water is frozen. Comet 252P/LINEAR will safely fly past Earth on March 21, 2016, at a range of about 3.3 million miles (5.2 million kilometres). I don’t know why they’re worried; we can’t possibly reach out to harm them. It is a rather sad story of long ago when daughters of Orion sacrificed themselves, Persephone then kindly turned them into comets. And now look how roughly Apollo handles them. Note the trend. 1.1 million miles closer everyday! We’ll all be dead by the evening of the 24th. Pass it on. Don’t have to worry about global warming anymore. OK, let’s get philosophical about this. I want a show of hands here, how many folks envision themselves in heaven having to wear a friggin’ coat? Fit your halo under your stocking cap. Some may wish an asbestos coat. Love it, I’ll certainly remember that one. No heaven, therefore no coat needed. Yeah, me neither… i think I heard Ray Wylie Hubbard mention my name in the song “New Years Eve at the Gates of Hell”. Hey Wigan , the sky is falling ,the sky is falling ,the sky is falling blah blah etc etc ,getting warm yet. Remember to celebrate Earth Hour, March 19th – 8:30-9:30 PM EDT (North America). Celebrate the availability of the plentiful and (relatively) inexpensive energy (mostly fossil fuels) we enjoy in the “Developed” world, something that is not available to hundreds of millions in the “Developing” world. Be sure to turn ALL your lights ON for Earth Hour! Celebrate the light, not the darkness endured by our ancestors and millions of people today. The Eco-fascists would have us all freezing in the dark, except the elites of course – you know who they are. Thank you. Love your rhymin’ and reasonin’. I gotta try that . . .! Now, now. We don’t want to make Red any angrier than he already is. Oh darn! darn! darn! I missed Earth Hour this year. Anthony, why didn’t you tell us it was scheduled for today so I could turn all of my lights on? I imagine North Korea will win the award again this year for the most widespread participation in this marvelous event. (/sarc). I turned all my lights on for the ‘hour’ but, living in the countryside, I doubt many people noticed or could see. Was graph 7c meant to be included in this article? If not, why not? Sorry my mistake. 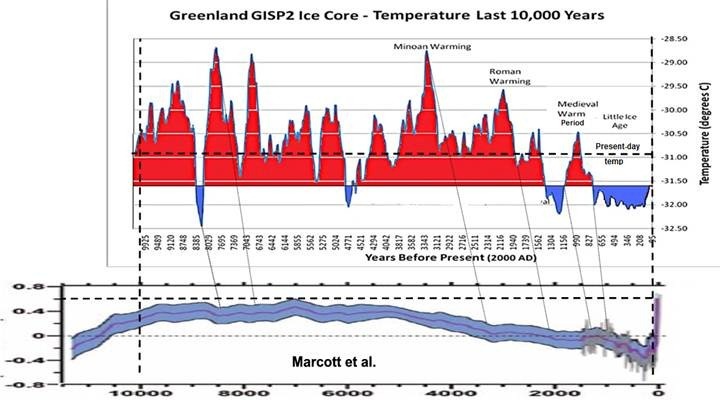 I assumed everybody reading here would know about 7c, possibly, after the ‘hockey stick’, the most notorious graph in global warming history. The irony is that the Greens don´t like the greening. For each 1% rise in CO2 concentration, there is a 0.62% rise in soil moisture because plants are more water-efficient when fed more CO2. That rise in soil moisture can feed not 0.62% more vegetation, but 1% more, because of the extra CO2 reducing their requirement for water. If CO2 manages to get up 100% there will be a 100% rise in vegetation growth in the arid regions. At that level, it is likely the thunderstorm cycle will re-start and the entire Sahara desert will bloom as the Hadley cells expand north. Thanks 🙂 . For my convenience – do you have a link to that report? Let’s not forget: during the MWP, Greenland (or part of it) was settled by shepherds and farmers, and it was called Greenland for a reason. During that time wine grapes were grown in Scotland–anyone doing that now? The data are before us: The Medieval Warm Period enabled the building of the great cathedrals of Europe, just because people had an easier time getting food and keeping warm, and could pay attention to things of beauty and monuments of faith. Later on, with the LIA, we get paintings of people ice-skating on canals in the Netherlands, to say nothing of Washington crossing the Delaware through ice-filled water; so the LIA was real, too. I think the true Deniers are those to refuse to recognize the past eras that were warmer than our own, and that were mostly times of prosperity and progress. Can you imagine anyone exposing ideas and theories to close scrutiny in a such environment? No doubt that ´yes´ people was favored. He probably takes nice photos ( how could you not ) but seems to make assumptions. You’re incredibly naive Luke. I’m a specialist in Middle Eastern politics due to being raised in the home of an American diplomat. My father is dead but I have been analyzing what really happens in Mid East politics since I grew up seeing how it was done first hand. Political decisions were made to flip Bashar by outside forces; mainly the United States, and Arab sunni warriors we basically call Al Qaeda, since Iran props up Bashar al-Assad. You’re simply blowing smoke out of your under-education hole. He’s an Islamic president all that stuff’s his job. Since you came in and said this it means you’re not old enough to have been watching TV politics the past six or eight years, more than likely. Or you’ve been so busy studying in college not much time for news TV which also obviously means: you’re just having your acne begin to clear. You’re really, really in over your head with old, professional scientists checking your amateurish wanna-believe-in-Magic-Gas made Allah irritable stories. Be sure to line them up so that they do it in the correct general direction. Cold is a relative energy low that draws energy from where it is, to warm itself up, i.e. even cold doesn’t like being cold. Maximum species diversity and biomass occurs at +/- 5 degrees of the Equator. Minimum species diversity and biomass occurs within +/- 5 degrees of the Poles. Warmth this a relative energy plenty that promotes life. Anyone who cares about species diversity (or even humanity’s best interests) would not want it to cool off, nor would they be freaking out about the expansion of warmth toward the poles or a slow increase in CO2 that always accompanies warming in a highly beneficial way. Except that in the high latitude southern hemisphere, right now, warming is not occurring, it’s cooling and satellite sea-ice is testing and beating record highs. Not good for life on earth, if that continues. The UN is not supposed to be dedicated to damaging human interests or reducing species diversity and global biomass. If it is via its action promoting that agenda, then the UN must be dismembered, dis-empowered and abandoned as an organizational, philosophical and scientific failure. Good post. Perhaps additive to note that the tropics are not warming. What CO2 warming we may have is mostly at night, and mainly in the cold pole-ward regions, where it is most beneficial. If we simplify things a little. The territory of a specie has a cold border and a warm border. The cold border is a hard one, the specie cannot survive with that cold. The warm border has to do with competition, the specie cannot compete with the species that are only adapted to a nice climate with lots of resources and competition. When the climate cools, individuals die on the cold side of the territory. When climate warms, individuals eventually face the competition from the warm side. The speed of migration is similar for all species, so few individuals die. I’ve never been much for conspiracy theories but more and more I come to believe this is a concerted action by the developing world to disempower the West. The fact that Western governments and societies help out is beyond me, and the failure and corruption of science in the face of this nonsense is deeply disappointing. Also, the process has highlighted problems with peer review brought about by the internet that should concern all of science. Changes must be made to recover credibility. It’s increasingly clear global warming is real and man has virtually nothing to do with it. Don’t deny this. The perspicacious among them are already regretting raising the alarum to eleventy. They will become laughingstocks. We had our worst drought in history here last year. The media quoted a climate scientist who assured us that “This is a pimple compared to the future dry weather we will get”. May 2015 had the least amount of rain for a May in history. The water lawn sprinkling ban has been moved up earlier in the year by half a month and extended later into the year also by half a month. Odd thing is that Oct 2014 had 150% of normal precipitation. This March, the current month, had the most rain for the last 10 years at only half way through the month. Also, oddly a few years earlier the same media was reporting that the wet weather we were having (due to climate change of course ) would ruin the tourism industry for Vancouver. It was pretty dang cold here the last couple of nights, nearing freezing and the mountains are loaded full of snow and currently look like mid winter though spring is only hours away. Can you point to a link where climate scientists said that was the worst drought in history for BC (I assume you are in BC)? I’m from Seattle, though have lived in Asia for 20 years. I don’t recall seeing anything about the drought being worst in history. And in any case, AGW does not predict that every place in the world will suffer severe drought. The ME is still having the worst drought in 800 years, and in other places, such as Thailand, they are having to drill thousands of wells to help farmers and towns survive. Chris, our history is short here, and I am referring to recorded history of just over 100 years. I have lived here, near Vancouver B.C. since 1967, so have first hand experience with 50 years of that history. There was a mega flood here just over 100 years ago. We have since built extensive dikes throughout the region. While bike riding through Langley during this extreme drought I noticed that many of the pumps to pump out water from the land and into the Fraser river were operating. There were huge areas of land with nothing but corn crops from horizon to horizon. Sea level rise and flooding had been much in the news before the brief period of dry weather. 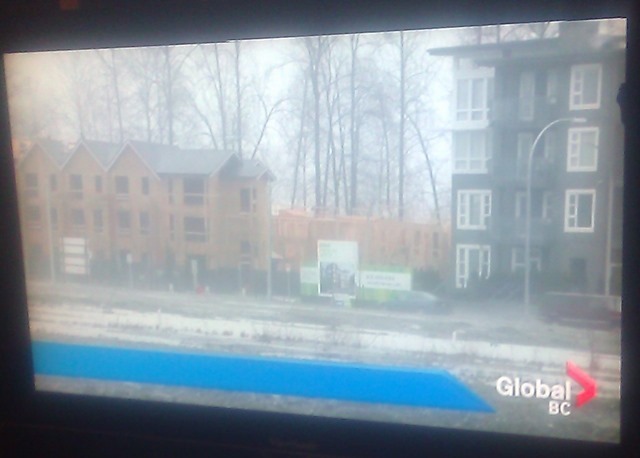 Here is a picture of new homes built near the Pitt River (named after the youngest Prime Minister of the U.K. at that time) when stories about sea level / flooding is the topic. I know that area, I confirmed the location of the homes in the picture and I know that the land there was raised 2 or so metres above the natural land level. But the reporters seem unaware. Chris, the tropics are not warming, and will not. There is no global increase in drought, period. 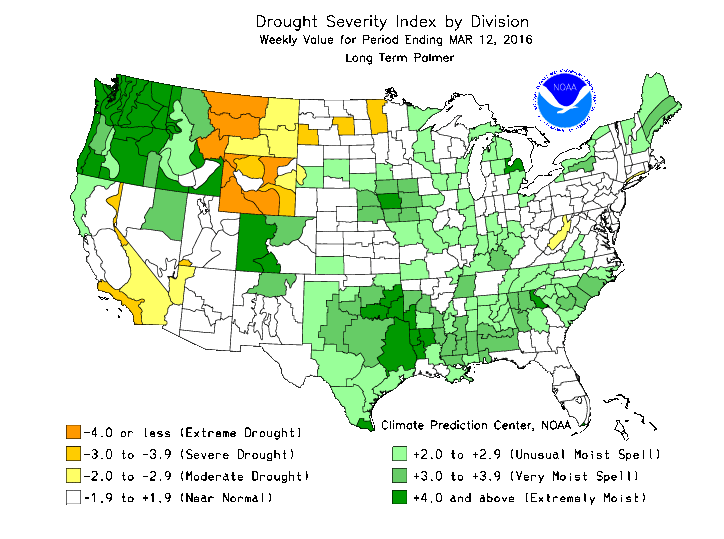 Here is the long term drought index for the US as of this March. looks ok to me. Better, how? Better, according to who? Better in what way? There may be a number of hidden assumptions behind the phrase “we’d like to see the world a better place.” If your idea of a better world is driven by the ideas presented in “The Population Bomb” and “Limits to Growth,” your solutions — whether the world is warming or cooling — are going to point in very similar directions. Beware of “objective” scientists bearing hidden agendas. Same old stuff about the Vikings in “Groenland”. They also came to Normandy during the 9th and 10th centuries and conquered it. Sure, the weather there is nicer than up North, but they did not have to change the name of those areas for marketing purposes. Nothing is ever new in advertising for gullible prospective buyers. In the poorest French “banlieues”, the streets of the worst areas are invariably named “allée des fleurs”, “impasse des lauriers”, not “boulevard du bidonville” (slum). 181 comments later not one person has pointed that Dr Ball is incorrect. The SPM does indeed include uncertainties – both mathematical and theoretical. This shows a complete lack of familiarity with the subject matter. One really doesn’t need to know much more to make the simple assessment that he’s pretty clueless. Proof, please. Also please cover the counter evidence which he also mentioned. Pseudoskeptics. Many here consider themselves skeptics, but rarely do they actually display any skepticism. TDr Ball’s uncertainty claim is so easily verified and checked that I’d expect a halfway intelligent 12 year old to be able to verify the truth or falsehood of the claim. How many dozens of articles has written here with the same level of veracity? Just another note, are you unable to Google – Summary for Policy Makers AR5? Why should I – or anyone – have to do the basic research for you? Do what I did, Google it, read it, and make a decision on the original claim. The fact you either cannot or will not says plenty about your own skepticism and intellectual capacity. Instead what we see is unwavering acceptance of absolute crap claims from an absolute non-authority(PhD in Geography); one that has been proven wrong over and over again. I don’t see your coverage of the counter-evidence. I don’t see your admission that Dr Ball was woefully incorrect in saying that uncertainties are missing. As for “positive counter-evidence” — he never states what counter evidence is missing; hence it’s impossible to verify. A skeptic would have noted this immediately. Cosmic rays? Chemtrails? Climate fairies? Garden gnomes? The iron sun? Iris theory? We can list a hundred disproved, illogical, and/or unscientific ‘theories’ and claim the IPCC reports didn’t deal with them. Well, they are supposed to be dealing with science, not wild claims. So which scientifically valid pieces of counter-evidence did they miss? Dr Ball doesn’t say and neither do you, but you lap it up anyways. Obviously you’ve already drunk the kool-aid. And we don’t need to read any more from you to know that you are a clueless, driveby troll. Meh, they were less certain of the attribution to man, but lied that they had increased confidence in the influence by man. Spin away, ol’ Honey Badger. Haha, when you don’t have a factual retort, trot out the troll accusation. kim as usual gets to the heart of the matter. And not one scary climate prediction has ever come true. Not one. When one group makes lots of alarming predictions, but not a single one ever happens, the proper course of action is to throw out that conjecture or hypothesis, try to figure out why they were so wrong, and produce a new hypothesis that takes into account new information — such as the fact that every alarming prediction they ever made was flat wrong. But climate science isn’t science, it’s politics. So it doesn’t need to fiollow the Scientific Method. You know ZERO about me or what I have read, bub. But one thing I DO know for certain in my 30 years of following this, plus my degree in geology, is that the tenets of the AGW theory are falling like ten pins. Tornadoes down to historic lows, hurricanes down to historic lows, phytoplankton operating in exact opposition to claims made with regard to AGW, the Stratosphere is warming instead of cooling, and so on, and so forth. So, why is ‘one ill in wisconsin’ anyway? ClimateOtter – no, you’re wrong. You asked for proof. I provided proof. Anyone that had actually read the SPMs would immediately recognize Dr Ball’s assertion as nonsense. Ergo, you had not read them. The alternative is that you had read them and didn’t understand them, or had read them, knew uncertainties were in fact part of the SPM and decided to play dumb (and cast doubt on my claim). Now, none of these interpretations is complimentary to you. Sorry, that’s the way it goes. I’ll call a spade a spade and not a utility implement for soil movement. The only thing falling around here is what little reputation for critical reading and skeptical reasoning you might have left. I don’t have a degree in anything. But I can read, comprehend what I read, and cogently pass the learned information on. You may wish to ask for your tuition fees back since you can’t do any of the above. A more literate commenter might have alluded to the opening of Dostoyevsky’s, Notes from Underground. In the past I have myself in a self-deprecating way. Even your ad-homs need work. Think seriously about asking for a refund on that schooling. Keep trying illsy. I’ll take observational evidence over computer modeled projections based on bad input any day. You… just keep talking yourself deeper into that hole. You mean like the observations I made that the SPMs all include uncertainties – directly contrary to the misguided assertions of Dr Ball? Yes, I’ll take direct observations too. How ’bout you? Still ain’t got the balls to flat out say Dr Ball was full of BS? The old adage goes, you know a man by the company he keeps. You’re in ….. company with Dr Ball.What does *that* say? P.S. the theory of AGW relies not one iota on computer models. The theory existed before the first computer model was written. Even someone with a Geology degree should know that. Your climate alarmist contingent has been 100.0% wrong in every prediction you ever made. That means your hypothesis is junk. Yet you still desperately try to keep it on life support. Why? dbstealey – another commenter completely silent on the assertion by Dr Ball that the SPMs don’t include uncertainties. You people are funny. Throw any old red herring out there to obscure the fact the emperor has no clothes. Well over 200 hundred comments now and not one ‘regular’ here has the guts to point out the obvious – and if it wasn’t obvious I spoonfed you the answer – Dr Ball is full of BS when he claimed the SPMs don’t include uncertainties. I gave you chapter and verse, but it simply cannot make a dent in your notions. “Why should I – or anyone – have to do the basic research for you? Do what I did, Google it, read it, and make a decision on the original claim. The fact you either cannot or will not says plenty about your own skepticism and intellectual capacity. So now go read the NIPCC reports. They document in detail what the IPCC missed. Do you need a link? Uncertainty figures are not much worth if they are not properly estimated and documented. Science or Fiction – what part of “Summary” don’t you understand? The full uncertainties will – of course – bein the actual scientific papers that the *Summary* is summarizing. English is an amazing language – you might consider learning it. P.S. Silence on Dr Ball’s assertion that the SPMs don’t include uncertainties? Imagine that. Just another kool-aid drinker. First I would like state very clearly that I think you have a valid point. Uncertainties are included in the fifth assessment report by IPCC and the Summary for Policy Makers. The following claim by Tim Ball seem to be unsupported in his article. Second, I would like to point out that your assertion that “The full uncertainties will – off course – be in the actual scientific papers that the “Summary is summarizing” is not always correct. If you take a closer look into the assessment report you will find that the fifth assessment report by IPCC fails to meet the international standard for expression of uncertainty. If you search for the information about uncertainty, which should have been in the paper in accordance with the international standard: “Guide to the expression of uncertainty in measurement”, you will see that relevant information is missing. Hence the uncertainty stated in the paper is unsupported. …yet his statement is essentially accurate. My comment to Oneill here; http://wattsupwiththat.com/2016/03/19/i-hope-the-ipcc-is-correct-about-warming-because-cooling-is-a-bigger-problem/comment-page-1/#comment-2170976 explains why this is true, and where oneill can go to verify the assertion. What is the quote about Napoleon and Hitman losing whole armies due to bitterly cold weather in Russia/USSR? (As opposed to hot weather in Rommel’s battles in the desert)? Failed to consider the troops of Generals December and January, also misunderestimated Kutuzov and Dodge Trucks. That is so true, people and society thrive in warmth, die is the cold. We should at least be equally preparing for global cooling, and taking advantage of this warm period while it lasts Once again, societies will collapse with cooling, they won’t with warming, they will in fact thrive. Which explains why deserts are the most populated places on earth ……. oh wait. No, that’s not the explanation; in that case it’s the lack of water. According to your thinking, then, the region above the Arctic Circle must be packed with people. In that case it’s the cold. This is rhetoric? The Antarctic is the world’s biggest desert. dbstealey – are you dense? I wrote sarcastically ….you might note the “oh wait” at the end. Duhsville for you my friend. I may be dense, but I’m not deceptive or credulous; your two most obvious qualities. I’m not sure which one is in charge at the moment. After being totally wrong in every alarmist prediction ever made, anyone who still sounds the “dangeroud AGW” false alarm is being deceptive. Unless they believe it against all the contrary evidence. Then, they’re just being credulous. Incorrect. First of all, the most prosperous societies are in the colder climates – Europe was the pioneer. By your logic, Africa, the Middle East and Asia should be prosperous, and Europe poor. But that is not the case, in fact you have it completely backwards. Obviously, there is more than climate to consider, such things as governance and natural resources. Quit correct Kim. Alarmists can, in a jiffy, go from claiming nuance, to simplicity that is worthy of a simpleton. For a very long time the silk road went to India, and the culture on that land was stupendous, prosperous, and leading in areas of architecture, science, mathematics, politics, etc. Really? You truly think this is a vast conspiracy among climate scientists around the world? The problem with your argument is there is no incentive for scientists to be a part of the conspiracy. If there truly was fraud going on in the climate science circles, it would take one doctoral student, post doc, or PhD scientist to produce the data/analysis and take it all down, and they would become the most famous scientist in the field instantaneously! The reason it doesn’t happen is there is no conspiracy! Scientists are a competitive bunch and there are animosities just like any profession. If one of them saw a chance to make a name for themselves by exposing a fraudulent analysis of another scientist, they would do it. I hope the rest of you here don’t believe John’s conspiracy theory, it would only further reduce the your credibility. Moderator- you do not address my point of incentives to expose the “fraud”. If a scientist came forward with evidence of fraud or a defensible critique of published data or analyses, they would instantly become one of the most well known scientists in their field and would reap substantial rewards in both grant money and offers of academic positions. Science is a competitive business and scientists are always closely examining the papers of their competitors. Many scientists have built their reputations on debunking other’s results and climate science is no different. If you really think that there is a vast conspiracy among scientists to cover up the truth about global warming then you don’t know how science works. Period. [You are using several of the “trigger words” in your latest replies, then wonder why the replies drop into the queue? Be patient. At school, there, they learn to deny six possible things before breakfast. No incentive, luke? If a government official turns up at your front door threatening to destroy your life / career/ finances / reputation / future, do you do what they tell you to do? That’s just one example and you can’t tell me it hasn’t happened, or have you forgotten what happened to a lot of skeptics around Lysenko? No, but I do think there is a conspiracy that involves a few climate scientists, and a contrived/staged “consensus” claim. He completely switches cons-piracy as the potential in question, to fraud many grad students could easily expose. The idea of actual people actually discussing unethical things secretly, vanishes completely . . almost as though some magical force exists, which wholly prevents people with (certain?) science degrees from ever doing anything like that. Inane (ostensible) level of blind faith in Siants, I say. Totally unscientific belief in magical occultish forces . . The title should summarize the article. If intended to be funny ..
… then the title you wrote is not funny. … but you really don’t hope that, so why say it? I assume you know they have been wrong for all 27 years. … but you make no attempt to prove that, nor does anyone actually know that. In my opinion, one degree C. of cooling in the next 100 years would be just as meaningless as one degree of warming in the past 100 years. “The IPCC claim that human CO2 is causing warming is wrong”. Now, you must wonder, why would I spend so much time giving you are hard time about the title of an article? Because the title of an article helps people decide if they want to read it. And your recent articles deserve a lot of attention. Sometimes a newspaper or website will accept an article but write their own headline — and that headline sometimes does not summarize the article. If that happened here, I blame whoever actually wrote the title. It is refreshing when a scientist like yourself gets it about “climate science”, and writes articles about the politics using simple easy to understand English. (c) and the “scientists” do whatever is necessary to please their governments, and get their money. In the end, the climate modelers are a small group of people with advanced degrees who act like con men living on the government dole … helping to promote BIG GOVERNMENT socialism, which most must believe in — they obviously don’t give a damn that they are destroying the reputation of science and scientists in general. No ads. No money for me. Now includes March 2016 Climate Centerfold of the Month! I think a title should help you to remember the article, just like a tv show. For example a recent Walking Dead episode was titled JSS. The moderator apparently will not let me reply to my post above (Luke March 20, 2016, 6:58 am) so I will try here. The moderator did not address my key point. There is substantial incentive for scientists to expose fraud or debunk misleading data and analyses in every field of science. Many scientists have built their reputations on exposing poor science or inappropriate statistical analyses in published studies. Many of those scientist have gone on to obtain coveted academic positions and grant money as a result of their critique of other’s work. Competition among scientists is keen in every field of science, papers that expose problems or issues with other analyses are often some of the most-cited publications in the discipline. If there truly were substantial problems with the high profile papers in climate science, other scientists would have detected those problems and published their results because it is in their best interest- they would become famous overnight! Anyone who thinks there is a vast conspiracy among climate scientists to promote the “global warming agenda” doesn’t know how science really works. Luke, if almost all government funding is going to those who endorse AGW, what motive would any researcher have to rubut it? Michael Crighton made a plea for “blinded funding” on the topic, but I do not see how that could work. The Obama adminstration, as well as most European and the former Australian governments have endorsed AGW as a matter of policy. Funding to oppose the government is always dicey, with some in the US threatening RICO procecutions on “deniers”. Ultimately, the only way to effectively oppose the government is to become the government. Not there yet. A conspiracy is organized. A bandwagon is not. The bandwagon effect allows everyone with a similar interest to jump aboard, as long as the bandwagon is going in a direction that benefits them. The climate alarmist crowd benefits from the immense piles of easy money that fuel their bandwagon. Anyone who reads the Climategate emails can easily see what’s happening. They come down hard on anyone who rocks the boat. They know they’ve got a good thing going, and they regard anyone who threatens it as the enemy. If it weren’t for the money, the ‘climate’ scare would have fizzled out long ago. The scientists and universities involved know what’s happening; they know there is nothing unusual or unprecedented happening with global temperatures. That’s a fact. But the money and the perqs are just too good to pass up, and anyone who voices skepticism about ‘runaway global warming’ is quickly set straight. The only ones who don’t seem to understand the scam are eco-lemmings like Luke, who bought into the climate scare long ago, based on insufficient information. Now they can’t admit that those skeptical of the ‘dangerous AGW’ scare were right all along. So they keep arguing out of ignorance. Certainly they have no credible facts to support them. They can’t even produce a measurement of the very thing they insist is going to cause a climate catastrophe. So as we see with Luke and the others, their fall-back tactic is the usual ‘Say Anything’. Without measurements quantifying the thing we’re supposed to be alarmed about, all they’ve got is ‘Say Anything’. We want empirical, testable, verifiable measurements that quantify the supposed threat. But they don’t have those measurements. So instead, they Say Anything. “Immense piles of easy money.” Nope, not true. I’ve worked with researchers on several grants (unrelated to climate change). First, if the researcher is a professor, the grant generally does not pay him/her much as research is expected to be part of their workload, just like they don’t get paid extra for teaching classes. If they do the research during their summer break, then the stipend is quite small. Most of the money goes for equipment, travel expenses, food, lodging, and graduate student stipends. Regarding Chris’s comment and immense piles of money. First is job security. A non tenured PHD graduate working for a University will have zero security if he bucks the CAGW meme. Secondly those piles of money, billions spent annually in the US, are real and rewarding, to both the University and alarmist scientists. Chris, do not be an “immense piles of agenda driven money” skeptic. If politicians can tax the very air you breath, they will. You’re right that bandwagons can be seductive and scientists often go along for a while without noticing the inconsistencies but in the end they always are upended because a insightful scientist sees through it, produces the data and analyses that refute the idea and science moves in a new direction. It has happened many times in the recent past; viruses and some forms of cancer, H. pylori and ulcers, and species diversity and primary productivity (many now question the relationship) come to mind. If you really think the AGW science is flawed, produce the data and analyses, get it published in a respectable journal, and you will be famous! Predicting the climate 100 years into the future is not science at all, it is climate astrology ! The ‘CO2 controls the climate’ physics model is wrong. 100 year predictions can’t be proven “wrong” in anyone’s lifetime. The people who make the predictions also control the surface temperature data, which they “adjust” to match their prior predictions. Since Earth is always cooling or warming, and there has been a warming trend since 1850, it’s a pretty easy guess to predict the warming will continue — even if you are wrong it could take decades for people to notice a cooling trend had started … and with enough “adjustments” it is possible a cooling trend will never exist ‘on paper’ in our lifetime. Skeptical scientists have great difficulty being published, getting government grants, and getting hired to work for governments. and you have the whole thing right there. why doesn’t the entire scientific community of the world simply tell the truth? You can’t speak sense or even chemistry to an authority worshiping drone. They just tell you pot’s like heroin, and the sky’s a magic heater. I think we’re pretty safe from a glaciation. 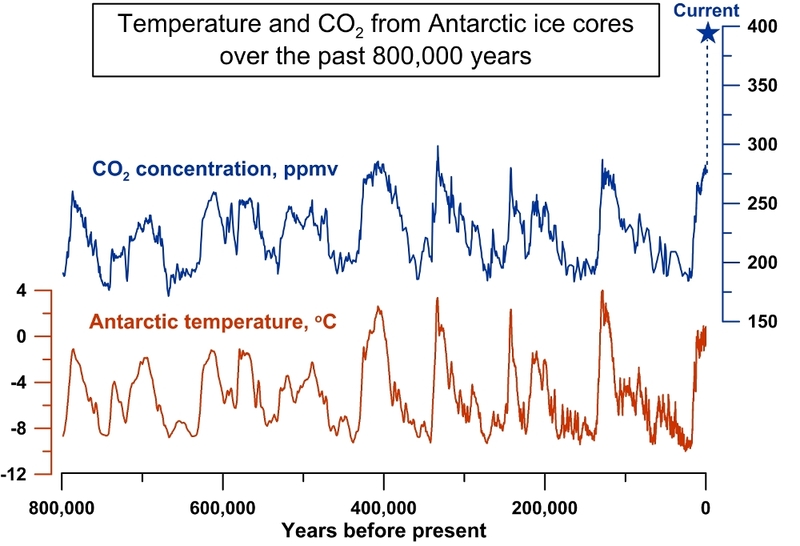 Gee, why is it we reglaciate every time CO2 reaches a maximum in the ice core records? Angstrom’s assistant showed all the IR was already absorbed, adding CO2 did nothing. CO2 concentrations and average temperatures estimated with ice cores (and various other climate proxies too) may be far from reality. You may think you know the future climate, but you do not. The real danger is to make predictions, based on unproven theories, assume they are true, and act on them in ways that will negatively affect economic growth and prosperity on our planet. It says his ”scientific” leadership hasn’t been caught and forced to admit he fabricated false data of warming for a dozen years. It means his ”scientific” leadership didn’t get caught suing a man who said he’s a liar, then getting caught lying in the filing for the lawsuit saying he won a Nobel Prize. It means his ”scientific” leadership didn’t get caught scamming tree data like Briffa. It means his ”scientific” leadership didn’t claim that when he retired he would be crawling out of a window at his office to get in a rowboat because the flooding would be so bad. It means his ”scientific” leadership didn’t tell him there’s a magic effect on Venus that makes the laws of thermodynamics obsolete. Somebody with a geology degree ought to know somebody was going to catch him publishing data he created with a hockey stick generator too. So we have the people who sent you summed up pretty well. You think real science comes from clowns like that. No, and that’s why your leadership can’t predict properly which way a thermometer’s going to go, told the correct answers ahead of time.